A Style Savvy experience can also be the perfect gift - or a party itself! Click here to purchase a Personal Shopping Experience for Valentine’s Day. You will have an instant gift certificate to print and gift - Voilà! Two Valentine’s Day packages are available at a special price. Shop with Lindsay in stores or in your own closet. Click the link above for more details. Style Savvy was listed as one of the Top 10 Las Vegas Gifts for Travelers by USA Today. Lindsay can get any wardrobe in the “Top Ten” too! Think of me as a hairstylist for your clothes and accessories - cutting and trimming your wardrobe to take what you own and show you what "YOU" can be! As a personal stylist, I can teach you what colors, cuts, lines and embellishments are most flattering for you. 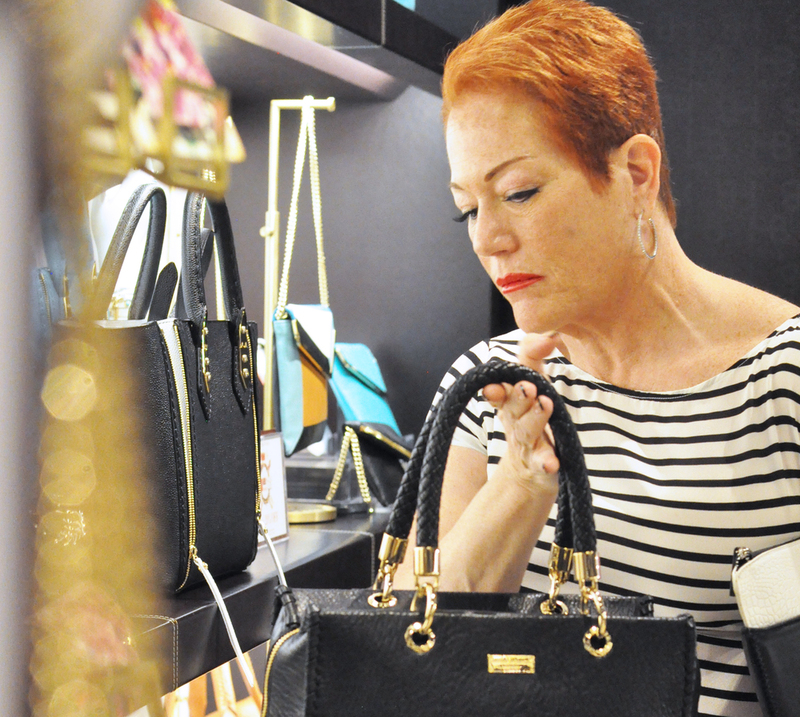 As a personal shopper, I can teach you how to shop for ONLY those pieces! Personal stylists are not just for the Reese Witherspoons of the world! Just because you are not walking a red carpet does not mean you can't look and feel your best every day - and WITHOUT paying Kardashian prices! Now doesn't that sound like true Style Savvy? Have questions? Want to be on our mailing list and get all of Lindsay's latest style tips? Just fill out the form below! Thanks for signing up to get my emails - Fabulous Taste! Keep an eye out for my latest fashion and style insights in your email. If you need anything else, call me at 702-596-2815. DESPERATELY need a dress for that wedding next week? Or are you going on a vacation and can't figure out what to pack and how to get it into that LITTLE suitcase? Maybe you want to knock your ex-boyfriend's socks off at your reunion? Whatever you and your wardrobe need, we can help you! We'll shop in whatever stores YOU enjoy - and at whatever prices suit YOUR budget. Contact me, at Style Savvy it's all about you - and making you into your most fabulous "YOU!" Are you scared to walk into your closet because of the 1980's shoulder pads still lurking there? Feel like you have tons of clothes but NEVER have ANYTHING to wear? You will be amazed at the treasures that await you in your OWN closet. Valentine’s Day is covered! A gift certificate for an afternoon of Personal Shopping or a Closet Makeover - easy peasy. Or, check out Lindsay’s ideas for some fabulous Valentine’s giftees!!! “What is the most important consideration in being considered stylish?” Can it be achieved? Bought? Read on to learn the one surprising secret of being truly style savvy! Did You Miss Me? Your Friendly, Neighborhood Personal Stylist is Back! Hello there, my friends! It’s been a long time but I’m back! As a matter of fact, that’s what I want to talk to you about today - things that are back after a long time away.